The world of social media is one which has provided businesses with yet another outlet to improve their customer service. The many different methods of contacting a business now, including Facebook, Twitter and Google+, mean that organizations of all sizes need to give extra consideration to how they interact with their clients and how they promote themselves in an online arena. As well as the physical exhibition stands and displays and the face-to-face customer service capabilities which create success, employees now must develop a whole new skillset which allows them to coherently interact online. The first way in which social media has revolutionised customer service is that it has made everything entirely public. All complaints, queries or compliments on Facebook walls are open for the public to peruse at will, and so it is vital that the company understands how to respond in the correct way. Complaints and problems can be vented on social media, but it is the responsibility of the company to take it away from the public sphere and invite the complainant to contact a company email address or phone number in order to resolve their issue. A survey by Martiz Research found that 78% of consumers are of the opinion that social media is the way forward where customer service is concerned, but 71% of the people taking part in the same survey also said that a company had ignored a complaint on Twitter or another social network. Resolving key issues online can have its advantages, but entering into disputes with customers or ignoring them altogether is about as useful as turning up to an exhibition without a banner stand. 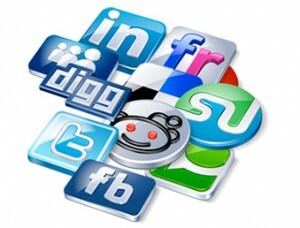 Social media can also help companies to become aware of what customers are saying about their products and services. The tracking function on Twitter allows for the easy search of certain keywords or hashtags, and can have great results for companies looking to gain clients and expand their business. Listening to what customers say about rivals and competitors can also be beneficial; it allows businesses to learn exactly what their customers do not want. It is also important to bear in mind that as social media is a relatively new form of communication, there is no ‘last word’ on how to provide customer service through social media. Creativity is an asset in this field, and there are no hard and fast rules for success. Some companies find it beneficial to set up seperate accounts for all of their customer service needs, whilst some still prefer to solve issues face-to-face.